A hosting nightmare can come in many forms. Regardless of the reasons for it, it causes downtime. We’re going to show you how to go about avoiding the high costs associated with hosting nightmares in the first place. KnownHost shared cloud server hosting that’s fully managed, secure, relaible and best value. Trust KnownHost Now! As you can see, a single hour of downtime could have big consequences. It becomes even more prominent as your business grows in size. That’s why you need to have contingency plans in place should this happen to you. What Does it Translate to Monetarily? Of course, there’s a price to everything. Industry surveys state that in monetary terms it can translate to an average loss of $5,600 per minute for big businesses. Regardless of your business’s size, this should prove that the costs of downtime are huge. On top of that, there’s always the risk of lawsuits. In a country where suing is akin to a national sport, don’t underestimate the ability of customers for suing you should you impact delivery times and finances. It all starts with choosing the right type of hosting. There are so many types of hosting that many people are left confused as to what type of hosting they should be looking at. Each has its pros and cons, but whatever you do never opt for free hosting. 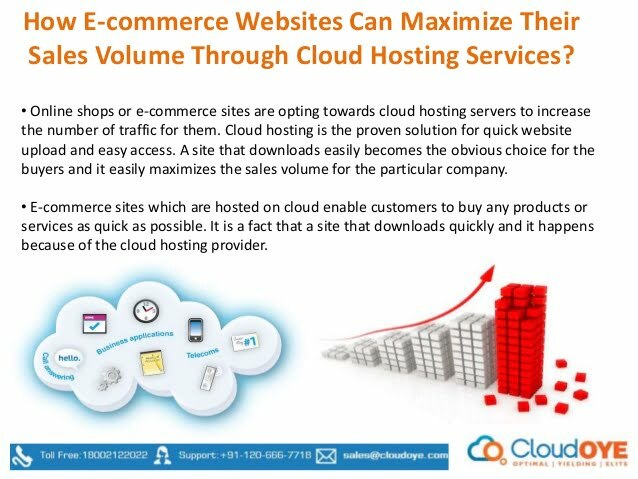 See Also: Which Web Hosting Platforms Suits an eCommerce Platform Best? Bear in mind that you should be taking into account new types of hosting. The latest player on the hosting market is cloud hosting. This is where your data is stored in the cloud, rather than on physical servers. Proponents of this option love the extra layer of security built into it. Understand that the cheaper hosting packages will not come with any redundancy. Should there be a problem with the server at the physical data center, your site will go down and there’s nothing you can do about it. The better hosting companies will always have multiple layers of security for their clients. If one server goes down, the site will switch to a backup server. Often, there are multiple backup servers to reduce downtime by 99.9%. An inexpensive CDN can provide your site with multiple servers. Exact copies of your site are placed onto these servers. At the very least, the most important pages of your website will remain online, even if your primary server goes down. But the more protection you want the more it will cost. CDNs are touted as a way to boost page speed. What many people don’t know is that CDNs act as a security barrier. With the number of cyber attacks increasing, your CDN is a vital tool in the fight to limit server outages. This is why you should go out of your way to compare security features when choosing between different CDNs. You should already know that your choice of hosting company is critical. While we’re not going to recommend a specific host here, what we will say is that there really is a huge difference in quality and you do get exactly what you pay for. The hosting company you go with depends entirely on the type of site you’re running and how much an outage would cost you. Small blogs, for example, can stand some downtime because they’re not selling products and services to customers. On the other hand, an eCommerce site requires a high level of redundancy because every minute of downtime is a lost purchase. Take into account customer service. This will be your support if and when something goes wrong. Compare the needs of your site to what the host provides. Generally, the more a site is worth the better the level of hosting it deserves. If you’re spending thousands of dollars on AdWords and other traffic driving campaigns, it’s vital that you have the security features to match. But even with the best hosts, there’s always a tiny risk that an attacker will bring down the server or something will go wrong. Anything that involves humans carries a chance of something going wrong. This is an inevitable part of doing business online, but it’s still no reason to scrimp on good hosting. What we’ve learned in this article is that the key to avoiding the high costs of hosting nightmares is to choose the right host. Keep up with the latest industry news to see who has a good reputation and who doesn’t. Consult other business leaders and find out which hosting company they use. Word of mouth is everything in this industry.